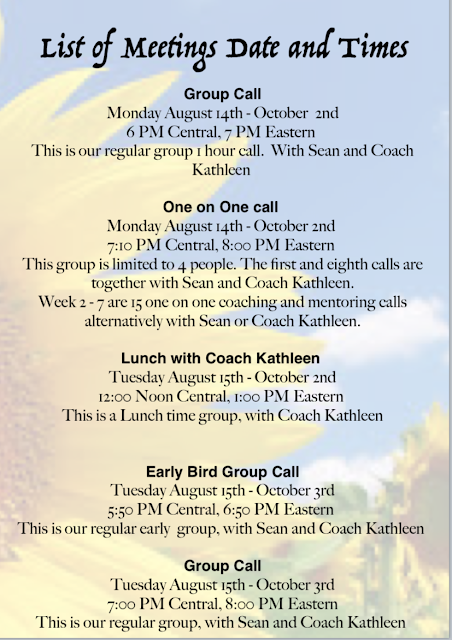 The next 8-week accountability and support session starts August 14th! Will you be joining our team? 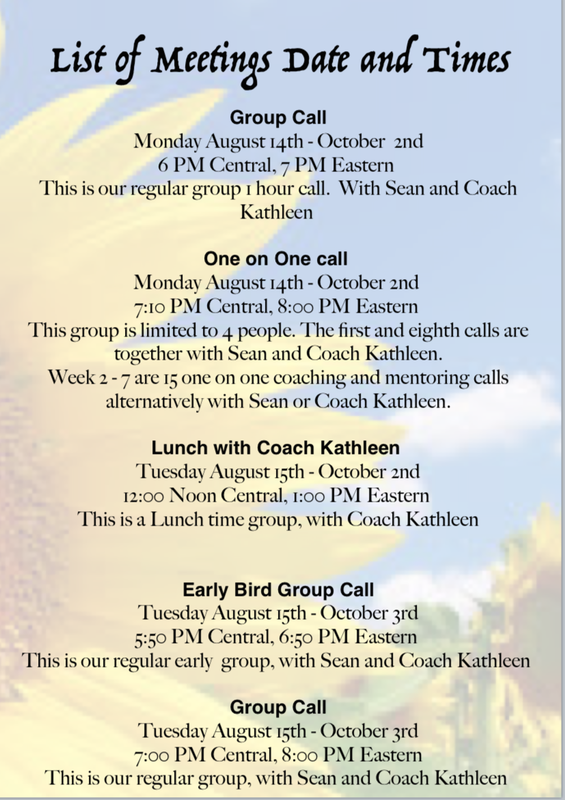 Our small and exclusive group is so much more than a weekly conference call! 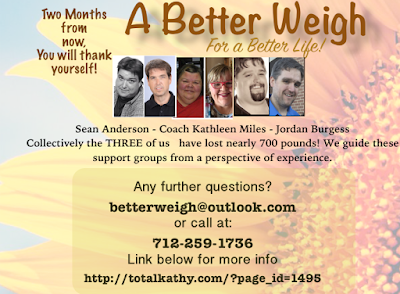 When you join our group, you're a member on our "secret" Facebook page for daily accountability and support. It's strong support every day! We all work together, because none of us do this alone! Use this PayPal link to sign up for one of our regular group sessions. Please indicate your choice of group calls. Use this PayPal link to take advantage of our special "Invite A Friend Along" offer. If you and a friend join, you'll both receive a $20 discount on your 8-week membership! Today: I maintained the integrity of my maintenance calorie budget, I remained refined sugar-free, I met my daily water goal, and I stayed connected with exceptional support. I slept in like a sleeping in champion today. 9.5 hours of sleep. It was glorious. It kind of tilted my food schedule today, but it was worth it to me. I felt amazing. I was very well rested! I made my way to the studio early afternoon to get some work done on a production project, then picked up mom for a late lunch out. Mom loves every opportunity to get out and enjoy a good visit. Amber joined us. It was a wonderful visit! The food was pretty good, too. I took mom on a drive after dinner--out around the lake, and the longest way home possible. She loves simply going for a drive and visiting along the way. It was a nice outing for her and a great afternoon for all of us. The three of us-selfie style! Is it when the finances are better? Maybe it's when the job stress is lower. Perhaps it's after the holidays. The perfect time might be as soon as they start another one of those challenges where everyone competes against one another. The perfect time could be when the house isn't so crowded or after the birthdays or...any other time than right now. I searched for the “perfect time” for years. Looking back, I realize my search wasn't about any of those things. It was all about prolonging the need to take responsibility for the changes I desperately needed. As long as I could proclaim “this isn't a good time,” I was free to continue my self-destructive food behaviors with a little less guilt. Searching for the perfect time to start became an enabler. The truth is, the list of reasons why this isn't the best time to start is easily generated and always ready to step in and relieve us of concern. The perfect time is always now. And the circumstances we viewed as challenges may still exist, yet—they don't stop us. Our resolve for changes become boulders in the stream of life, where everything flows by, conforming as it needs, around the importance level we apply. Today: I maintained the integrity of my maintenance calorie budget, I remained refined sugar-free, I exceeded my daily water goal, and I stayed well connected with good support contacts. Today: I slept in very well this morning. I maintained the integrity of my maintenance calorie budget, I remained refined sugar-free, I exceeded my daily water goal, I had a good workout at the YMCA, and I stayed well connected with good support. I spent a lot of time today on a work project for a client I handle. I set some goals around the schedule and hit each one. It felt good to stay on point! Sleeping in today was wonderful. I'm looking to do a little more of that tonight. Not too much tonight-- just a really good Saturday behind me. Today: I maintained the integrity of my maintenance calorie budget, I remained refined sugar-free, I met my daily water goal, and I stayed well connected with exceptional support. Keeping tonight's edition short. I'm really looking forward to sleeping in tomorrow morning! We don't do this alone. I don't have to figure it all out. I don't need all the answers. The struggle is not a moral issue. Losing weight doesn't make me a better person. Gaining weight doesn't make me a bad person. The core elements of me--the things that make me who I am, these don't change, regardless of weight, regardless of circumstance. These core elements of me were the same at my heaviest as they are today. Real happiness doesn't come from a scale, or a goal weight, or a dramatic before and now comparison photo. The truest happiness comes from within, flowing from the core elements... and in this discovery, the external search can stop--because it isn't found in a product, person, place or thing, an outfit, a substance, or money, or anything material. I once thought getting to a healthy body weight was my secret to happiness. When I "arrived" at my goal weight in November 2010, I quickly discovered I was wrong. And I was monumentally disappointed. This, in large part, eventually contributed to a 164-pound relapse/regain. I've learned that ultimately, my focus must remain on my continued extraordinary care each day, with a plan of living and a style of eating that I enjoy and willfully embrace--and if it isn't something I enjoy and can embrace, I must change the approach until it is. And when I maintain that focus, the weight loss or weight maintenance, happens as a side effect--a consequence. I've learned that my food plan evolves. I've learned that it's okay for me to abstain from certain food substances without feeling deprived or somehow cheated. In fact, I've learned more and more about my food addiction and why abstaining from certain food substances actually brings so much life--peace and calm to my world, providing a level foundation for most everything else important to me. This is about progress, not perfection. It's a daily practice. I've learned there's no such thing as failure, but there are many learning opportunities. Some of the most valuable things for me have come from what I once perceived to be the worst failures. I've learned to be kind to me. I've learned that I must practice each day at extending me the same love, caring, compassion, and kindness I freely give to those I love. I've learned that I don't know it all. I've learned that I'm no different than anyone else and at the same time, we're all different--and at the same time, we most always relate to the common challenges along this road regardless of our individual circumstances. The things I need may not be the things you need. In other words, what works for me might not work for you--and what is critically important for me might not be necessary for you. 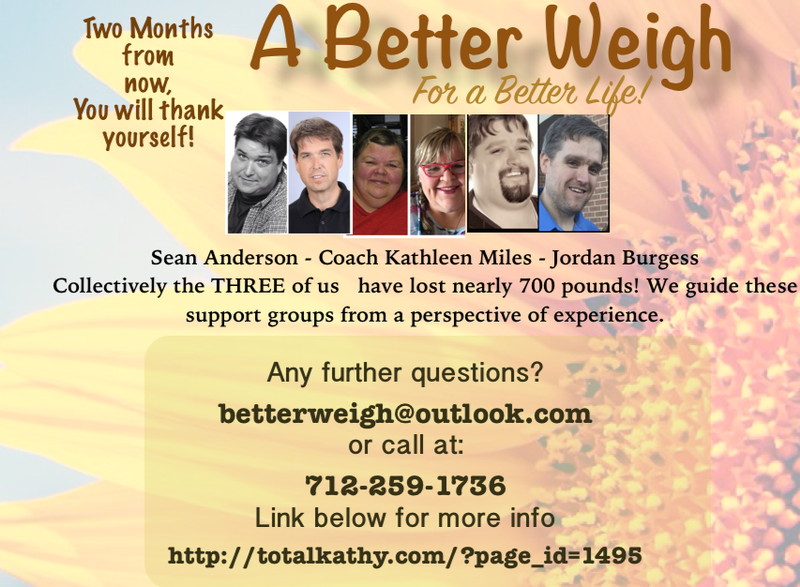 Today: I maintained the integrity of my maintenance calorie budget, I remained refined sugar-free, I met my daily water goal, and I stayed well connected with support contacts "in the same lifeboat." Today: I maintained the integrity of my maintenance calorie budget, I remained refined sugar-free, I met my daily water goal, I got in a good cardio workout, and I stayed well connected with good support. That's a question a lot of people ask when getting started. I get it. I did too. At over 500 pounds it was very easy for me to get discouraged about the answer to that question. I allowed my impatience to ruin many weight loss attempts because I wanted the results now and if we’re not getting what we want we get frustrated, and when we’re frustrated it makes it unnecessarily difficult to stay focused. But what I’ve learned has proven to me that time doesn’t matter. If you allow yourself to get discouraged about the task at hand and more specifically, the time it will take to accomplish your goal, the energy and focus needed for your action steps might be in the wrong place. My best advice? Forget about time and just start making the changes. Start as small as you need. Ease into it. Above all, be consistent. Before you know it you’ll have made amazing strides toward your goal in surprisingly little time. Time doesn’t care if you do this or not. Time will keep moving with or without you. So how long is this going to take? As long as it needs. Because, ideally, this isn’t something you’re doing for a couple of months. The changes in perspective and the action steps you're building into positive and supportive habits will be with you the rest of your life. These kinds of changes--these shifts, give us the best chance for a long life in maintenance at a healthy body weight. It's a daily practice. It's never perfect and it's never guaranteed, but it gives us the best chance. So how do we forget about time and still get results in a timely manner? In the past, I would do well three days, followed by off plan for four. Pick it up on Monday and do well until Friday, then eat like a mad man on the weekend. This inconsistency severely crippled my results and it seemed like it was taking forever to get anywhere. If you would have asked how I was doing during one of those countless attempts, I would have replied “doing great, it’s a slow process, but I’m getting there.” It wasn’t until I became completely honest about my consistency issues that I was able to realize such dramatic results. Cheating myself became truly exhausting. Forget about time, embrace your unique plan and be consistent in your efforts and you’ll enjoy the most amazing transformation of mind, body, and spirit--in hardly any time at all. As you make your way, look for things that continually threaten consistency. Staying connected with those in the "same life boat" can have a dramatically positive effect. Good accountability and support go a long way. At the same time, developing ways to act instead of reacting to stress and emotions, is imperative to keeping a consistent embrace of your plan. And speaking of the plan-- making it reasonable is important. If it seems impossible to remain consistent, it isn't a failure, it's a learning opportunity--an opportunity to make adjustments and proceed. This is often the place where an honest personal evaluation might reveal addiction issues with certain foods/substances. This thing we're doing is a process. But we must allow the process to process. I can think of several times when my impatience discarded the process--then, I'd beat myself up for another perceived failure. Be kind to you, please. You're not a failure. You're a student. Not of me and what I do or anyone else--no...you're a student studying you. Once you find your YOU PLAN, the one you can embrace consistently, then you can really let time do it's thing while you do yours. Suddenly you'll feel a confident patience. And in that place, it's much easier to dream a little as you envision the life changing positive consequences of your actions. Neighbor: What are you doing? Me: Exercising! Neighbor: Well, do some for me! "If your airbag goes off, it will be a tragedy, there have been several news reports on this topic. Once they were sitting reading books, waiting for a sibling, the car was in park/not even moving and someone else bumped into them in the parking lot. Really terrible." That possibility didn't cross my mind in the least--but oh my, you're so right, Vickie. And I appreciate your comment very much. It was in a small parking lot--and I was ultimately in control of the vehicle, but still--if a car had backed out into us--or something unexpected like that, and I can't even imagine. Anyway, I'll not be doing that again! After I read your comment and realized the seriousness of it, the image of a loaded gun that you're hoping nobody "bumps" and makes accidentally go off, crossed my mind. He loves cars and driving. But we'll stick with kiddie cars and maybe go karts some day! I knew something was going on, but I didn't know why. I started getting a bunch of Twitter activity midday. My Twitter followers naturally fluctuate up and down. Some people will follow without knowing what I'm all about, then quickly unfollow after several food and water pictures. I never take it personally. They're not aware of what this Twitter feed is all about or why it started in the first place. I'm proud of the two years and four months worth of picture tweets documenting everything. What started as an "extreme accountability measure" designed to aid my turnaround from relapse/regain, transformed into simply an accountability measure and now, I credit the Twitter feed for helping me maintain consistency, improving my choices and encouraging me to mindfully prepare and enjoy my food... and enjoy the process! I don't plan on stopping this part of my plan anytime soon, or ever, really. It turned out, the Today Show included me in an article released on Twitter and Facebook. It was an unexpected surprise this afternoon. That explained today's dramatic increase in Twitter and Facebook traffic! It was an honor to be included with five other JoyFit Club members! We were celebrating. Everyone was gathered at the restaurant in good spirits, drinks and food ordered, conversations circulating and plenty of laughter frequently breaking out. I was at the end of the table looking over the menu, checking my calorie budget and deciding on what would become my dinner. I already decided water-no ice, with lemon and lime, would be my drink choice. After I ordered the 7oz sirloin with double asparagus, the question came from a friend across the table. "I haven't in almost sixteen months." First of all, let me make it very clear--this isn't a boast. This is simply a fact. Further--let me stress how incredibly surprised I am that I can honestly say that. How in the world could I do an about-face, a 180--a total turnaround from where I found myself sixteen months ago? The answer isn't a simple sentence or source. It's a bunch of things working together on several different levels. Spiritual, emotional and mental work, and different levels of support--from group support to one on one support, to the accountability measures put into place to help guide me along--keeping my awareness level high and my routine consistent. This turnaround from relapse/regain wasn't a simple declaration of "starting tomorrow things will be different." I tried that approach several times without a shred of success. I wasn't creating an action plan and then, when things remained the same the next day, I'd sit around feeling hopeless and doomed. It was like throwing the same thing against a wall and hoping it would somehow stick this time. It didn't, several times. I needed an action plan. Once an action plan was created, that's when things started changing dramatically. The list was long: Return to writing this blog daily, as the name suggests. Weigh and measure my food as much and as often as possible. Log every single thing in MyFitnessPal. Tweet a picture, description and calorie count of every bite, every day. Make sure what I do eat, I enjoy, 100%. Commit to a regular exercise plan. Re-commit to giving and receiving more support via group and one on one interactions. Abstain from refined sugar. And treat all of these elements with an importance level in the highest, most non-negotiable way. I kept throwing out objections and Gerri kept persisting with questions designed to challenge me into changing my perspective. Suddenly I stopped coming up with reasons why I couldn't do it and I started coming up with ideas and solutions proving I could. Besides, I thought you said that writing brings you immense joy. Why would you stop something that not only contributes in positive ways to your success--but does it at the same time it's bringing immense joy into your life? Damn it. She's good. Okay, okay--from this moment forward, I'm blogging every day. That was over 450 days ago. I haven't missed one since. Sure, occasionally time constraints require a short one--and sometimes a "tweets only" one...but it's done, each and every night. And it's made a profound difference. The MFP and Tweets really bothered me, mainly because I knew that if I committed 100%, the only way it would work is if I applied a very strict code of honesty. The first time I eat something without logging and tweeting it--it's all over. I knew that going in--and it seemed extreme and beyond necessary to tweet everything. Turns out, it's helped me in monumental ways. The Tweets inspire me to eat well. I eat much better now than I ever did before. The Tweets and MFP logging have encouraged me to slow down and enjoy the process of planning, preparing and enjoying my food. I make the time to take good care--and in this care, I'm honoring my commitments. In my book, Transformation Road, I wrote about my philosophy on cheat days or cheat meals--or cheating, period. If what I'm doing is so restrictive and against the grain of what I can do for the rest of my life, then perhaps I need to change what I'm doing. For me to accept a "cheat day," suggests that what I'm doing the rest of the time is just a means to an end. If I'm constantly looking forward to the day when I can cut loose--then I might want to inspect the daily restraints. This isn't about defining restrictions, it's about refining solutions--making this something enjoyable, doable--workable, delicious--satisfying...and if we can make it all that, then why would we feel the need to deviate into old behaviors for a day or a meal? If what I'm doing is a temporary means to an end--and I'm forcing myself to do something unnatural to me and what I like--then I'm setting myself up for a monumental problem down the line. The abstinence from refined sugar has made a profound impact bio-chemically--effectively turning off the "binge switch" and ushering in a peace and calm I never knew. But as I've discussed before--it doesn't stop the other side of things--the deeply ingrained pattern of seeking comfort with food in times of extreme emotion and high stress. I've had three very close calls in the last fifteen plus months--one of those three happened recently, on Wednesday July 15th. Each time, reaching out for support--texting it or talking it out, has made a HUGE difference. It's not as easy as simply agreeing that excess food doesn't fix anything--or that food isn't a therapist. It doesn't matter how long or how much success we're experiencing, I've learned that unless I reach out for support, I'm perfectly capable of talking myself into the comfort food dynamic. Why would I want to cheat myself out of the tremendous blessings this road brings? I don't, so I won't. My success isn't a guarantee. I'm not entitled. It's not automatic. If I stop doing the things I'm doing, I'll quickly fall hard. This here thing is a daily practice--a one day at a time practice of uniquely crafted fundamental elements. I just want one more day feeling as good as I feel when I'm honoring my commitment and maintaining the integrity of my plan. I'd like a whole bunch of one more days . If this were a blog about sobriety and abstinence from alcohol, would the "Do you ever cheat?" question even come up? Likely not. This is why it's crucial for me to treat my continued recovery from food addiction with the same reverence as someone in successful recovery from other things. Just because I'm eating better than I have my entire life, it doesn't mean I'm eating things I don't naturally enjoy. If you scroll through my Twitter feed, you'll see--I eat what I like and nothing I don't. For me, this is a very important element of success. I've made some adjustments (no sugar), so I do not eat anything and everything like a previous, less evolved version of me, but the "what I like and nothing I don't" philosophy and practice is still a solid part of my approach. I haven't had much time this week to cruise through blogland, reading, commenting and supporting as much as I prefer, but this crazy schedule is coming to end this weekend. I'm looking forward to a less busy week ahead. Reading, commenting and taking a genuine interest in my fellow bloggers is very important to me. When a good blogging friend is absent from new postings for a while, I wonder and worry about the possible reasons behind their hiatus. Then, I think--I wonder if some had the same concerned thoughts about me over the course of my journey? The commitment I've made to blog daily is one I felt was critically important for my recovery and continued success. It's an accountability thing for me. It's also a pleasure thing for me, something that brings me not only clarity in my trek, but extreme joy in the process. When I started getting away from daily postings in August 2010, three and a half months shy of hitting my predetermined goal of 230 pounds, I was trading one of my greatest joys for the distractions of everything else. I'm happy to say that this is my 92nd consecutive entry in this daily diary, even happier to say it's made a monumental difference in my life. I must pause and thank Life Coach Gerri Helms and my private therapist for inspiring and convincing me to return to daily writing. It's interesting to note that both presented different, yet equally powerful reasons why it was a good idea. Gerri was focused more on the consistent accountability and support it creates, while my therapist supported a return to the joy, pleasure and clarity I experience in writing. Combining the two made perfect sense, so I made it one of my top priorities. I flew like a bird today across the top of the water on Lake Ponca. It was one of my greatest experiences. I had never viewed the lake from that perspective. I always stayed on the shore and watched other people zip across the water as I sat miserably in the sun wondering what they must feel like to experience such freedom. I found out: They feel great. I was one of them today. The owner of Team Radio had invited me to his private dock to ride his Sea Doo jet ski no less than five times over the last month or so. Today I decided I would do it. Doing things like this that were once nearly impossible is one of the quickest ways for me to get really emotional about how far I've come in the last 313 days. This is what it's all about. It's living my friend. Really living. You know what I mean? Feeling that jet ski lift up and skimming across the water as the wind hurried through my hair was simply amazing. I felt like I could fly. As I rode atop the surface I thought about how things have changed for me and continue to change. It would have been so easy to never have started on September 15th of last year. I did that my entire life. You know, think about starting, even plan starting, get excited about starting and then when the day would come (always a Monday for me), nothing but fear and giant overwhelming feelings of I can't, it's going to take too long, how am I going to do this under so much daily stress? It certainly wasn't that I didn't want it---Oh I did...but I was so busy trying to complicate the process, I couldn't get a handle on figuring out how to really do it. I always claimed “Oh, I know how to lose weight---just eat less and exercise more.” But there's more to it than that. Until I really analyzed the psychological part of the equation, I couldn't solve the problem no matter how bad I wanted it. This time is certainly like no other for me. It's the real deal my friend. The way out was found because I completely surrendered the dishonesty within, the excuses, and the rationalizations that always gave me reasons to fail. I decided to give this mission the importance level it deserves so it wouldn't be easy to rationalize bad choices---because it's just too important. And here I am 313 days later, flying across the top of a lake, viewing a perspective reserved only for those who choose to live. This concludes the July 25th series of DDWL Flashbacks! And here I am 3,235 days later--still practicing a perspective reserved only for those who choose to live. I want to live more!! Goodnight--and thank you for your loyal readership. Today: I maintained the integrity of my maintenance calorie budget, I remained refined sugar-free, I met my daily water goal, and I stayed connected with good support. Today: I maintained the integrity of my maintenance calorie budget, I remained refined sugar-free, I met my daily water goal, and I stayed well connected with good support and a lot of family! My goodness, it's been a long day. There's so much more to write about tonight, but I'm out of steam. I'm letting the tweets take it the rest of the way. I used my backup food plan at lunch--you'll see the tweet if you scroll down. The main focus today wasn't on food. The main focus was on family and being supportive to one another through a difficult day. Today: I maintained the integrity of my maintenance calorie budget, I remained refined sugar-free, I exceeded my daily water goal, and I stayed well connected with solid support. I did a little traveling today in order to pick up a loved one coming up for the funeral service tomorrow. It's been a long day, but a good day. I had a chance to see some family I haven't in a very long time. Tomorrow will include more, I'm sure. I'm still doing my radio show in the morning--so it's an early alarm for me. My schedule lately has meant a lot of meals, especially evening meals, at restaurants. I'm looking forward to getting back to my regular home prepared evening meals starting tomorrow evening. Although I'm very particular about my selections when I dine out, and I do ok, I much prefer preparing my meals at home. Today: I maintained the integrity of my maintenance calorie budget, I remained refined sugar-free, I exceeded my daily water goal by 7.5 cups, I stayed well connected with solid support, and I worked out at the YMCA. I had some breakthrough thoughts today when it comes to goal setting. I keep making elements of my plan--the ones I consider non-negotiable elements, part of my daily goals list. My goals must stretch a little further, otherwise, I'm staying in one place. It's not a bad place. But I want to do more. I'm giving this some focused attention! I picked up my oldest daughter, Amber, this evening for a play and dinner. We enjoyed the production, the dinner, and we always enjoy the conversation--and the laughs. It was a good time!